It’s that time of year when many of us take some time to clean out a few closets, organize the garage, and clear our home of clutter. It is also the perfect time to put your rapid improvement skills to work and plan a 5S-focused Kaizen event. 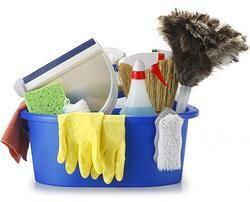 Sort: Sort out and separate things that are needed in each work are and things that are not. Prioritize things that are used most often or most urgently. Standardize: Document and communicate the expected state of the workspace... Clearly identify locations for all items so that anyone can find them and return them once the task is completed. Sustain: Keep to the rules to maintain the standard and continue to improve, overseeing the process and coaching people as needed. You can control the scope of your event and determine how much time it will take by deciding which workspaces to tackle. It is the type of event that doesn’t require a lot of specialized knowledge or experience, so everyone can actively participate. If your team doesn’t have a lot of experience with Kaizen events, this is a good way to introduce the approach. Results are readily observable and quickly obtained. Many people associate 5S with manufacturing, but I’ve yet to walk into an office that couldn’t stand a good cleaning and better organization. The 5S approach is something almost every workspace can benefit from. Why not use a Kaizen event this Spring to roll it out to yours?